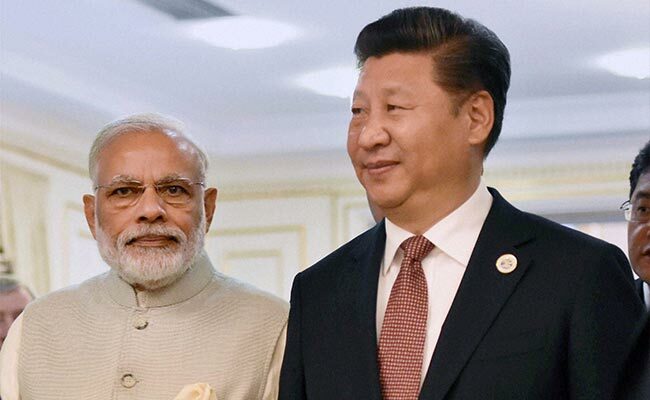 Beijing(PTI): China reaffirmed today that there is no change in its stance on the admission of non-NPT states into the Nuclear Suppliers Group, marring India’s chances of entering the elite club during its crucial meeting in Bern. “As for non-NPT counties being admitted to the group, I can tell you there is no change to China’s position,” Foreign Ministry spokesman Geng Shuang told a media briefing. He was replying to a question whether there is any change in China’s stand at the plenary meeting currently taking place in the Swiss capital, Bern. “I want to point out that the NSG has clear rules on admission of new members and the Seoul plenary made clear mandates on how to deal with this issue. With these rules and mandates, we need to act as they dictate,” he said. “As for the criteria regarding admitting new members, as far as I know this plenary meeting in Switzerland will follow mandate of the Seoul plenary and uphold principle of decision upon consensus and continue to discuss various dimensions like technology, law, legal and political aspects of non-NPT countries admission the group,” he said. China’s repeated stonewalling of India’s membership bid in the NSG has become a major stumbling block in bilateral relations. After India’s application for entry into the 48-member elite group which controls the nuclear trade, Pakistan, the all-weather ally of China, too had applied with the tacit backing of Beijing. After a series of meetings, China has backed a two-step approach which stipulates that the NSG members first need to arrive at a set of principles for the admission of non-NPT states into the NSG and then move forward with discussions of specific cases. The Bern meeting is being regarded significant as it is taking place after Russian President Vladimir Putin reportedly took up the issue of India’s accession to NSG with his Chinese counterpart Xi Jinping during their recent meeting at Astana on the sidelines of the Shanghai Cooperation Organisation (SCO) summit. Asked about the cooperation between India and the US on the Indo-Pacific region, including the disputed South China Sea which was expected to figure during Prime Minister Narendra Modi’ s visit to US, Geng said the situation in the South China Sea is cooling down. “With the concerted efforts of China and ASEAN countries the situation there is cooling down. We hope other countries especially non-regional countries can respect efforts by the regional countries to maintain peace and stability in the South China Sea and can play constructive role in this regard,” he said.